CBD offers a myriad of purported benefits ranging from pain and stress relief to reducing inflammation and anxiety. If you’d like to try them out for yourself, grab a pack of 500mg CBD Gummies in your choice of sour bears, apple rings, or rainbows. 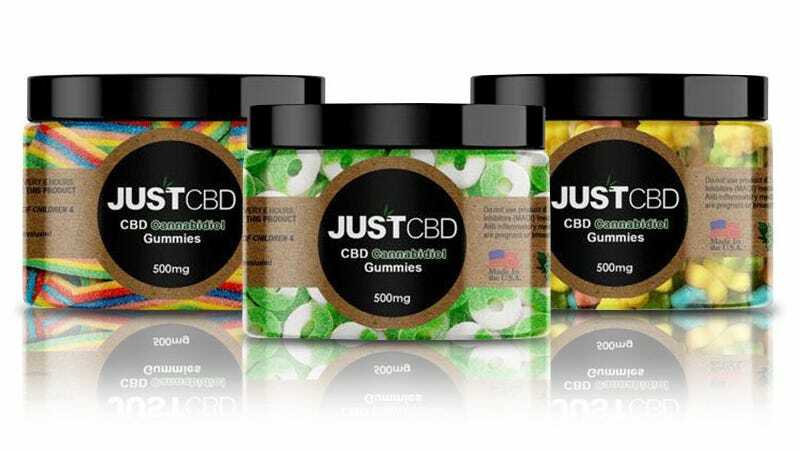 Use code PREZDAY15 to save 30% on JustCBD Gummies (50-55 per pack), just $25. Full details here.